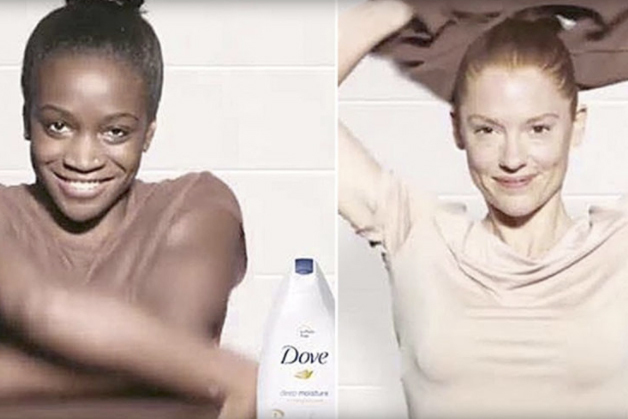 Dove has apologised for a Facebook ad campaign that showed a black woman turning into a white woman. The Unilever personal care brand said it "deeply regrets" the offence it caused after an outcry on social media over racism. The image, posted yesterday, shows black woman using Dove body lotion and then becoming white after removing a jumper. The ad has since been removed but is still being shared on social media. It is the second Dove ad to be taken down in response to a backlash in three months after it removed a UK ad in July that focused on opposing opinions about breastfeeding in public. Dove apologised for the ad, which prompted nearly 378 complaints to the Advertising Standards Authority.